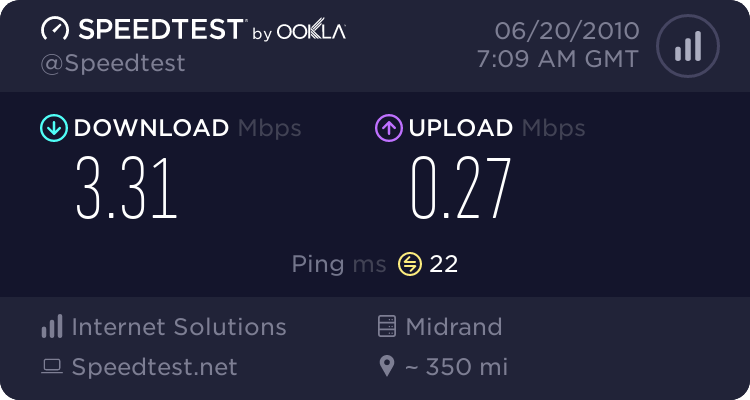 It has been a month now since we swapped over from a pure wireless net connection to a 4MB DSL solution, and I must say I have been quite happy with the speeds we’ve been getting. 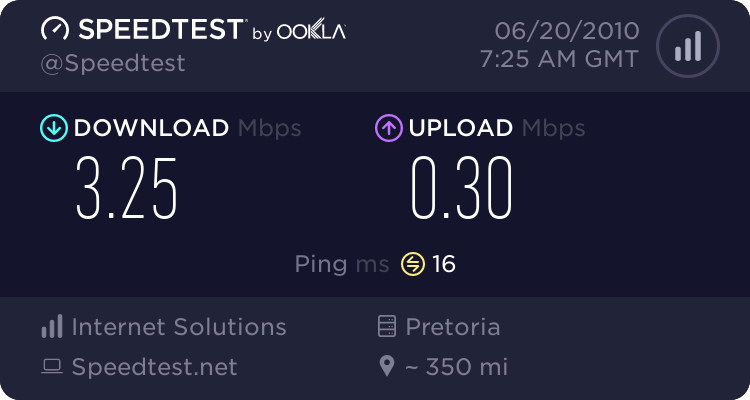 And, I should add (because I believe it does make a difference), I was running the tests from my laptop over our wireless network. 30kbps. Is that lower than dial up used to be? I thought that was 56kbps? As shallow a reason as it is, the internet speed is one of the reasons I'm here. Do you have a download cap? 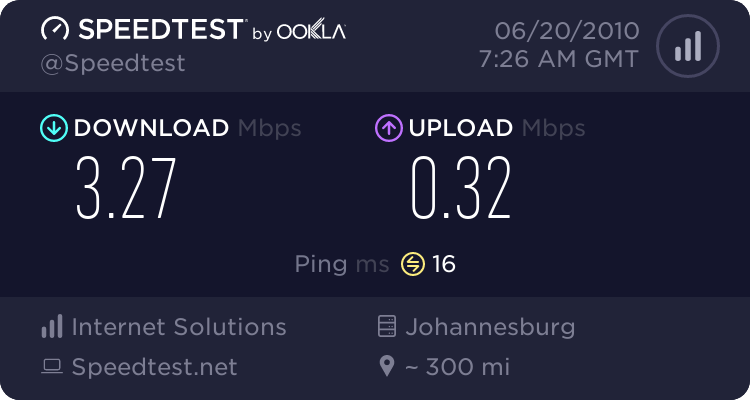 We are on an uncapped connection now, and it appears to not be incredibly shaped either. Oooooh, sorry. Don't know how I got confused like that! That is lovely and fast! !